With SharePoint being heralded as Microsoft’s fastest growing product, little is left to the imagination with regards to Microsoft’s profit margin. Described by company officials as being a $2 billion per year business, this is certainly a milestone that few Microsoft products have ever achieved. 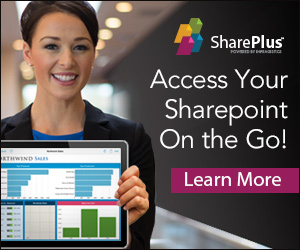 At the SharePoint Conference in Anaheim in October 2011, Jeff Teper, the ‘father’ of SharePoint, stated that at that stage there were approximately 65,000 customers and 125,000,000 users of SharePoint. This figure is expected to have grown radically since then, so one can only imagine the exact amount. Microsoft Corporate Vice President Teper said that their goal was to simply build the largest-scale enterprise cloud service in the industry and to be able to take the billion Office users and be able to run the full back-end services in the cloud with Office 365. 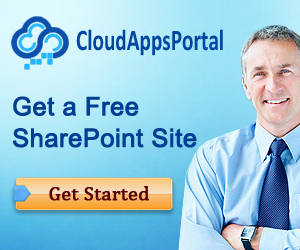 What we do know for sure is that the 2013 version of Microsoft SharePoint will continue to draw the crowds. There seems to, however, be general consensus about the need for improved record and document management and many complaints about pretty dismal social networking facilities of the 2010 version of the product. Reports thus far confirm that considerable positive changes have been made, but as always, we need to see if the average Joe behind his desk in his three-by-three cubicle agrees. The need to connect is such a deep primal emotion that no matter how sophisticated our job title, to be truly happy most will require a somewhat interactive environment. The casino industry experienced a similar situation a few years prior and through inventive thinking and swift action were able to correct the problem. Online casino science has revealed that socially aware players were disengaging from time to time due to the inability to connect with their friends and share their games with them, which in turn was placing a considerable dent in their coffers and thus online casinos were forced to adapt quickly and effectively. If SharePoint delivers everything that it promises to deliver, users are going to have something to smile about. If all will be singing the praises of the new interface, remains to be seen, but for now the predictors remain positive.